This topic has been on my mind recently, and was sparked by Netflix. Why Netflix you ask? Like many of you out there who might have invested in becoming a member of said platform, it’s a great place to catch-up on shows or movies that you don’t get to see at the time, or if you have kids, it’s been a godsend with Paw Patrol! On a serious note, recently, and I’ve never paid much attention to this, I have been getting suggestions of what I may like to view next, at the end of watching a show or movie. I’ve watched Narcos, The Good Wife and recently I got into Luke Cage (I do like my Marvel stuff). I noticed at the end of the Luke Cage series, it came up with my suggestions – some predictive algorithm has probably been used to work out what I might like to watch next (my assumption). It came up with three choices: 1) The Big Bang Theory; 2) Luke Cage and; 3) Narcos. Strange, I’ve already watched 2 & 3, I don’t think I will watch option 1, I don’t watch shows again (once viewed), so where did that come from? Perhaps, someone at Netflix can offer an answer. Well, it definitely got me thinking about this subject, and how important it is for companies to understand their customers, and what next action they may take, or product they may buy etc. Before we get into the case study about the clear benefits of Customer Segmentation and how it can work in the real world. I thought it would be best to define what it is and how it works. In a very simple and easy to understand terms (I hope): customer segmentation allows companies (mostly to drive data-driven marketing), to divide a customer base into a series of small groups, which hold very similar attributes such as gender, age, location, spending habits, particular interests, socio-economic group and so on. The main reason segmentation is applied is down to the fact that not all customers are the same i.e. there is “no one size fits all” principle. One of the main objectives for segmenting your customer base is to understand what makes them tick, what key messages they react to, which channel is more effective (your marketing mix) – in essence allowing you to get a deeper understanding of your customer. Customer segmentation in my opinion provides companies with a strategy and roadmap to start building a view on every unique customer group, and then use that to shorten sales cycles, improve customer service, increase revenue, build customer loyalty etc. The type of analytics that I have described above, is often called Predictive Modelling. The models that are built typically apply a score or ranking to each customer, that helps marketers understand what action the customer may / will take. Both Customer Segmentation & Predictive Modelling are necessary for most companies, and both are essentially required in todays “data-driven marketing” world. 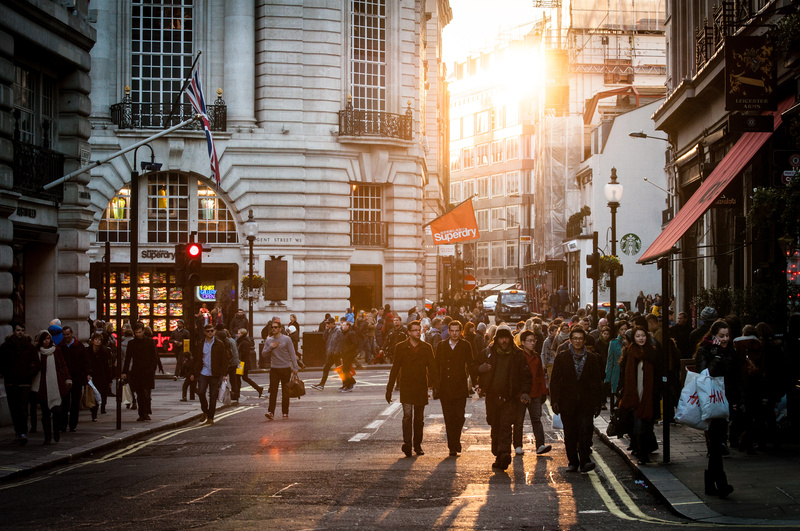 Customer segmentation can often be used a broad brush, while predictive modelling is used to narrow down segments that drive very specific business objectives. My main objective is to define what these two areas can do, and I didn’t want to go into masses of technical detail, rather leave it to the case study below to provide some insights into how marketing campaigns can be a success when analytics are applied. We were retained by an Insurance company to help them with a unique issue that they had. They had procured a list of 10,000 customers from an IFA (Independent Financial Adviser), who had been selling policies on behalf of their company. The IFA decided that they wanted to sell their list and close down the business due to new legislation being introduced in the financial services industry. The main objective of the company was to index link the new pool of customers so that their policies would be in-line with new interest rates. The main thrust of how the campaign would work, was to do an outbound marketing campaign that would involve an initial letter, a follow-up call, an email and then some type of closing activity. When we sat down to talk to the company about their objectives for the campaign, we discussed a number of items, one being conversion rate and what they wanted to achieve from the campaign. As we discussed the many marketing campaigns they had run, it transpired that the company had a target conversion rate of 30% for the new list of 10,000 customers. I then explored how they knew they would get a 30% conversion rate on a set of customers that were “unknowns” to them. What followed were a series of responses based on past performance of marketing campaigns done on other sets of customers with different variables unrelated to this new set. As we continued to discuss their campaign, we all came to a realisation that the new customer set was very different to anything that they had experienced before. Why? They were a new set of clients that they had never had experience of directly; in essence in their industry (Insurance) these new clients were seen as “orphan” clients. Orphan records presented the client with a bigger question: “How do we take this set of new clients, and know whom out of them will be a good profile of buyer for the outbound marketing campaign?” Our question to them was “Do you know the criteria for your ideal buyer?” We discussed this at length and soon realised that there were a number of different profiles that the team had. This is where things really got exciting and the power of analytics came into play. We discussed providing a profile of their best customer based on a number of attributes / variables that they would assemble. The team were determined, for whatever reason, that this was unnecessary. In their experience they would be able drive their campaign, without the help of analytics or specific profiles being created. As we further discussed where our team could help, the option came up to undertake a control test for the new customer base. Control groups are often used in marketing campaigns as an initial exercise to see how groups respond to different strategies / messages during the lifetime of a campaign. Our team started building a profile based on certain criteria – demographics, products previously bought, responses in previous marketing campaigns (if the data was available), customer lifetime value and so on – we did this by looking at the current customer base that the client had built independent of the new 10,000 records. Once the profile was complete, we applied this against the customer records that we had selected, applied the scoring, segmented the records, providing the outbound campaign team with a prioritised list. By applying the analytics, the list lost a number of customers that would never buy in this desired campaign, so instead of 2000 we had approximately 1500. Big reductions in our new base of clients, providing a refined, targeted and healthier prospect base. The campaign kicked off with the two control groups in full flow – our segmented customer base and the client’s customer base (no analytics applied). On the one hand, the client was working on their list of 2000 customers; on the other our team was working on the refined list. As we went through the first few weeks of the campaign, we both more or less did the same activity. However, this is where things changed. The control group that our team were working on was analysed at this point in the campaign. We had built a visual front end (dashboard) to provide the team with a story of the campaign so far. The analysis provided a rich picture of how the campaign was being executed i.e. how many clients had been contacted, how many had converted, how many were outstanding etc. We were able to start making correlations between the segment of customers by age, by time box (time of day when they were called), by agent (calling them), script used, region and so on. Of massive interest to us were the patterns that we uncovered – people between the ages of 45 – 60 were more likely to convert between 3pm – 6pm, using Script A, and responding to agents 1, 2 & 3. This allowed us to quickly adapt our resources, and using other patterns we found within other segments, the outbound team were able to change their approach and became more effective in their approach, leading to improved conversion rates. We repeated the same process at week 4 and applied the same logic where we saw different correlations, based on the areas we were looking at above. Things worked very well and we were very happy with our results. As we drew closer to the 6-week checkpoint, we were very focused on the meeting we had with our client. The day came when we sat down and discussed each other’s control groups. We were able to show the logic behind our approach, highlight the insights we had uncovered over the time of the campaign, and by undertaking all of the analysis provided an impressive view of what data can highlight, the insight it can provide and the relevant actions that can be taken. We did also analyse the client campaign and in that 6-week period the clients control group had converted about 2% of their target base, and we had converted a whopping 42% of our target base. This is the jaw dropping power of a mixture of customer segmentation and analytics. By bringing disparate sources of data together, in this example we had customer, call centre, sales, product data etc. We had worked through our approach in a sensible manner, working within a framework (not guess work or gut feel), applying analytical techniques, building dashboards that would take all the feeds of data so that we could slice and dice / drill down and analyse deeper. The dashboards and the range of questions that we could answer were wide and varied, with ultimately no limitations as we had all the relevant data we could interrogate to improve our decisions and course correct. As an example of data driven marketing being complimented with analytics, it highlights what is possible and how the strength of the two techniques can drive greater revenues and smarter outcomes. As you start to analyse your customer base, it will become clear to you that there are specific groups that have specific needs. As with our client they did agree with us in the end, and applied the analytics approach to the rest of the new customers. I hope you start to focus on your customer base and target each group with the same focus. I’m sure you will be surprised and excited by the results! Thanks for reading my post, I hope it provided value to you, if so, please leave your thoughts in the comments section below. 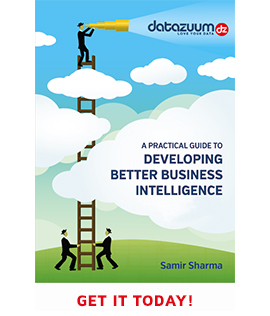 If you’re working on a project and you think it’s relevant and valuable to pick my brain, please get in touch by email samir@datazuum.com or call me on +44 (0) 845 056 8753.